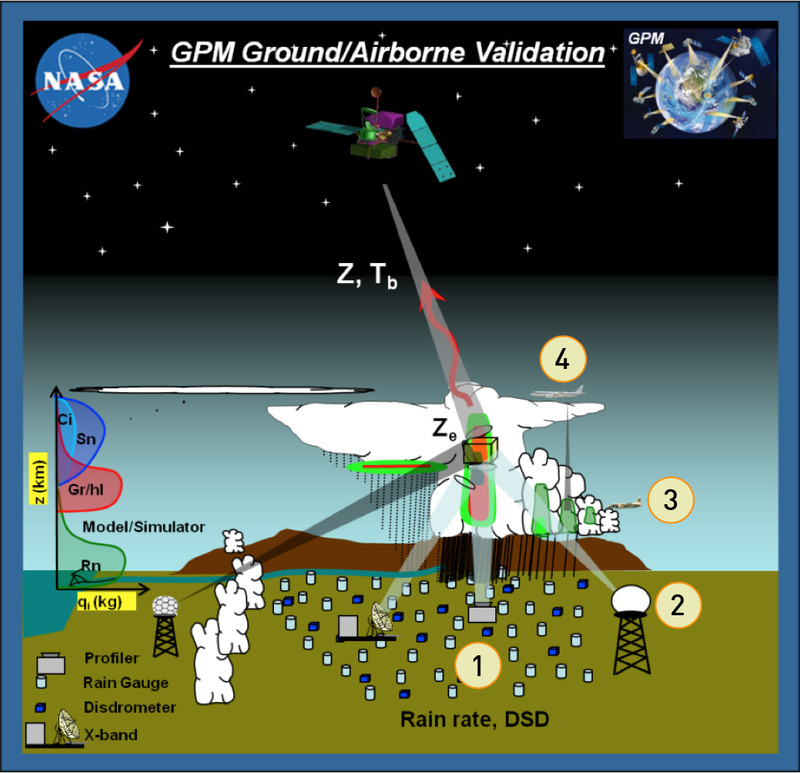 This diagram illustrates the GPM Ground Validation technique of using overlapping field measurements to validate rain's physical properties. High-altitude airborne (NASA ER-2, DC-8) dual-frequency radar and multi-frequency radiometers that mimic measurements made by the GPM Core and constellation satellites. Learn more about Physical Validation.